AMS Goes Down to Texas and Comes up BIG! TX2K has always held a special place in our hearts. From one of the many record-setting passes with Ivan driving Omega, first in the 9’s back in 2010 or the first ever 6-second pass in 2017. This year’s event would be no exception. In fact, I can’t recall a year where we won more trophies! Chicago Motor Cars’ R35 GTR featuring the Alpha Big Tire Conversion. TX2K is typically the event where we test out fresh builds and development parts for the first time. 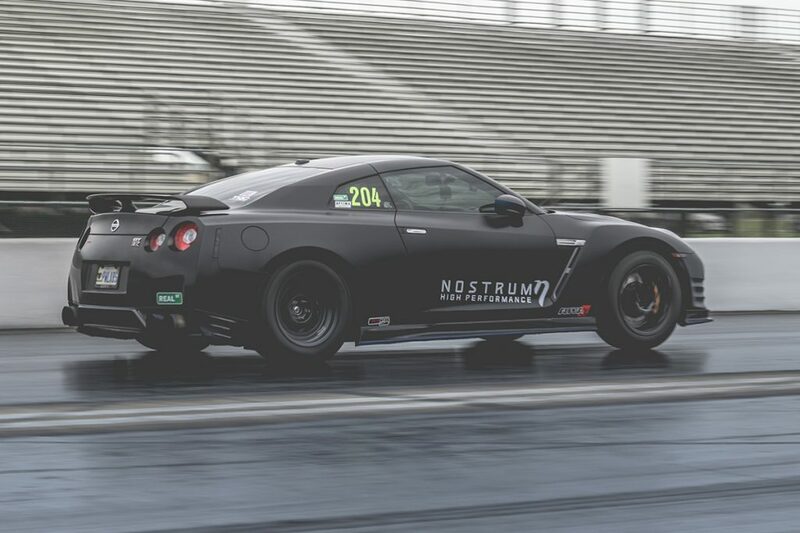 With GTR World Cup being six weeks before TX2K, we had the opportunity to dial in some fresh builds and test new parts there instead. This included our Billet Knuckles and Big Tire conversion. The Big Tire conversion was partially responsible for getting the 4,000lb (Phil, we need to talk about your diet) Alpha 22 of Chicago Motor Cars down the track in 7.3 seconds. Jordan Martin’s Big Tire Alpha 22 ran a best pass of 7.06 @ 206 and won the Outlaw Class in the process. After looking over everything after the World Cup, we were confident that we could go to production on them right away. Keep an eye out for the Big Tire conversion in the coming weeks. With the testing out of the way, one might think it would be fairly easy to get ready for the big event, right? Wrong! We came back to the shop with a list of parts to test and changes to make. Jordan had nearly two years on his motor and countless 7-second passes on it. This car is still on the STOCK oil system and only running our larger oil filter adapter, modified oil pump, with the AMS wet sump oil pan. We knew going into World Cup, it would be time for a refresh before Texas. As strong as the billet cranks are, they need to be inspected from time to time. Afterall, these cars are running bottom 7’s and making over 2300 wheel horsepower! Alpha Queen needed a long overdue update to the turbo setup. The goal for the OB Prestige team was to build a car that would be competitive in the Unlimited class. Alpha Queen debuted at TX2K17. At that time, the landscape for a competitive unlimited car was low 7’s. A lot has changed since then and if the Queen was still going to be competitive, we had to make some more power. As soon as we unloaded the Queen after GTRWC, the fabrication team got started. New turbos, new 18 injector intake manifold, the latest transmission parts from Shep and she was ready to roll…with over 3000hp on tap. 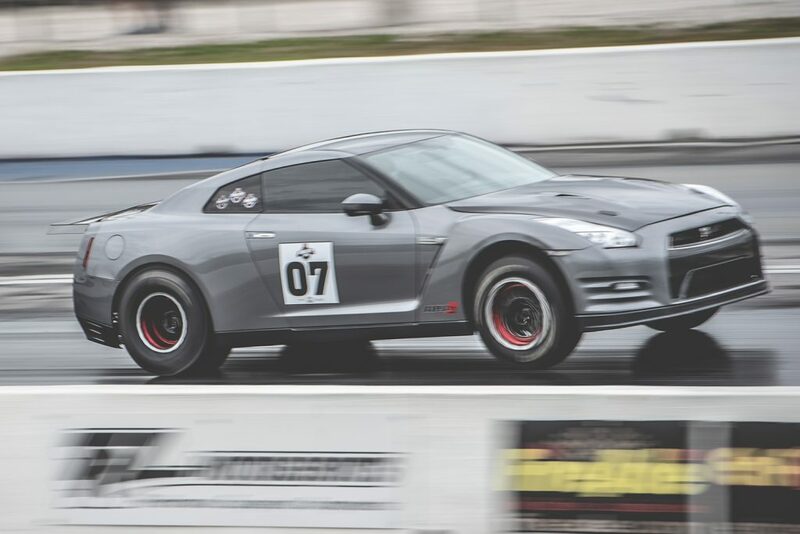 Dave Rohrschneider came to AMS just 10 weeks before the February GTRWC event and wanted to build a GTR to compete in the 58mm turbo class. With not much time to put the car together, we had to move quickly. Using an off-the-shelf Alpha 10X kit would have to do. Dave wanted to make sure he could compete and didn’t want to show up out gunned. While the turbo kit is off the shelf, the rest of the car is ALL in. Alpha Spec 4.3 Liter Dry Sleeve block,lightweight subframes from AK Motorsports, small carbon brakes, and methanol. Dave didn’t want to mess around. 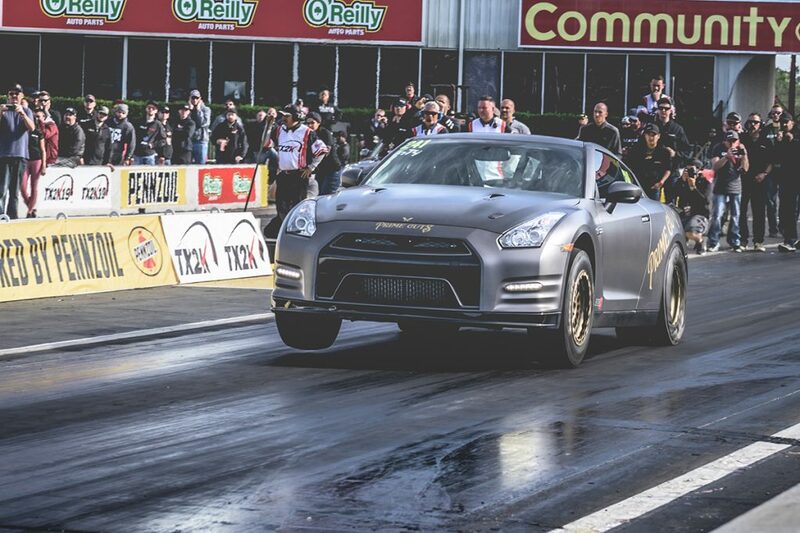 He was able to set the 58mm record at GTRWC with a 7.58 on his 3rd pass down a dragstrip. 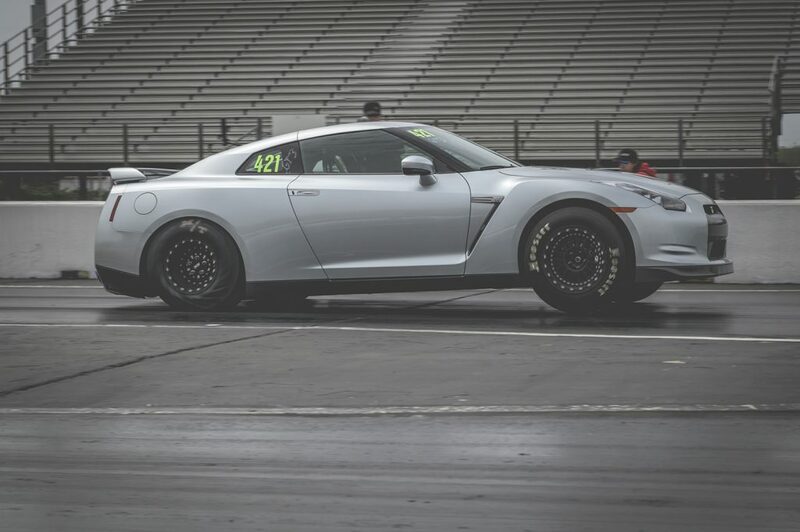 To get the car ready for TX2K, we swapped the 15 inch slicks for a set of 17’s so he could compete in GTR2 class at TX2K. Although we wouldn’t have as much tire out back, we were hoping to chop that record down a little more if the track conditions were there. 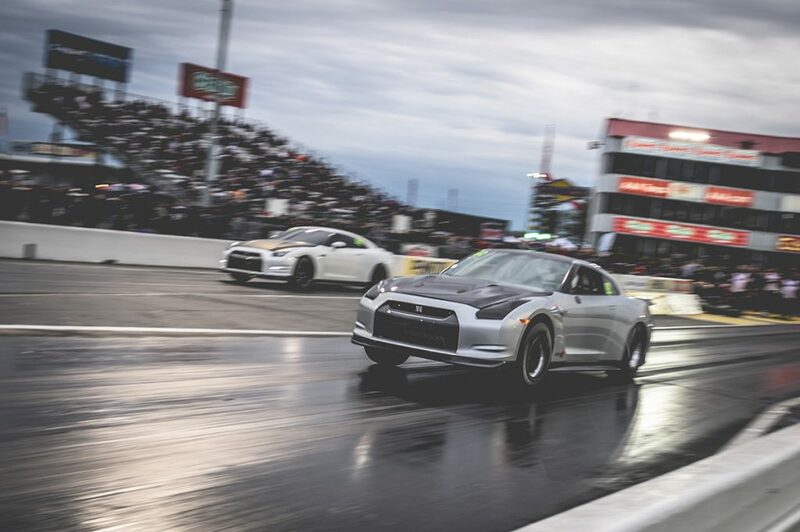 TX2K 2019 kicked off this year with two days of roll racing. The OB Prestige Racing Team’s Alpha Queen set the exhibition record (at the time) for the event last year at a blistering 228 mph! 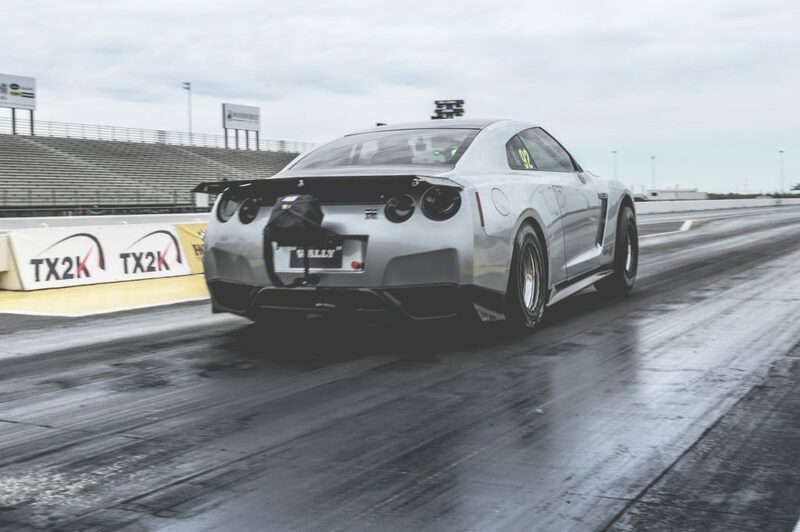 The Queen was back again this year to get warmed up for the drag racing portion of TX2K, Dave Rohrschneider was fresh off his GTRWC record with his new Alpha 10X GTR, and Curtis Adams’ brand new Alpha X build was competing in the roll racing Unlimited Class. Curtis Adams is very well known around AMS. He is a seasoned veteran when it comes to the Alpha packages. His first build was a Ronin package and while that was a ton of fun on the street, 900 wheel horsepower wasn’t enough for him. Curtis also wanted to run the car in the Texas Mile to see what he could do. The next step was a 12x! He was able to take his full weight street car to the mile and run a best MPH of 232 with several passes over 220mph. The speeds that can be achieved in a mile are flat out insane. 232 in a 4000lb street car was starting to be too much. Curtis realized he didn’t need to go THAT fast anymore but maybe something quicker would keep him entertained. Curtis turned his focus to the quarter mile and again, wanted more power. The next kit of choice for him would be an Alpha X. With this being his first time at TX2K Curtis thought he signed up for both roll and drag racing, unfortunately it was just the roll racing he was signed up for and had to sit the drag racing out. Nonetheless, he was going to give his new setup hell. As the competition went on he won round after round advancing through the field. Curtis ultimately won his way into the finals and was set to race Christine Dodworth and her T1 built Alpha 16. In the end Christine took the win but Curtis was incredibly happy with his first event with the Alpha X. Tip of the hat to Christine, She KILLED it in her Alpha 16 and became the first woman to win a class in the roll racing at TX2K. Dave wanted to get some more seat time in is 10x so he decided to enter into the roll racing as well. The very first pass he went 199 mph. In his next run he went even faster with a 203! Dave ultimately ended up qualifying in the Elite 8 bracket with his tiny 58mm turbos. Getting anywhere in this bracket was going to be near impossible! The first round of eliminations he was paired up with one of the twin turbo Underground Racing Huracans. Just qualifying in the Elite 8 was good enough for “Wally” (nicknamed “Wally” for his Father). 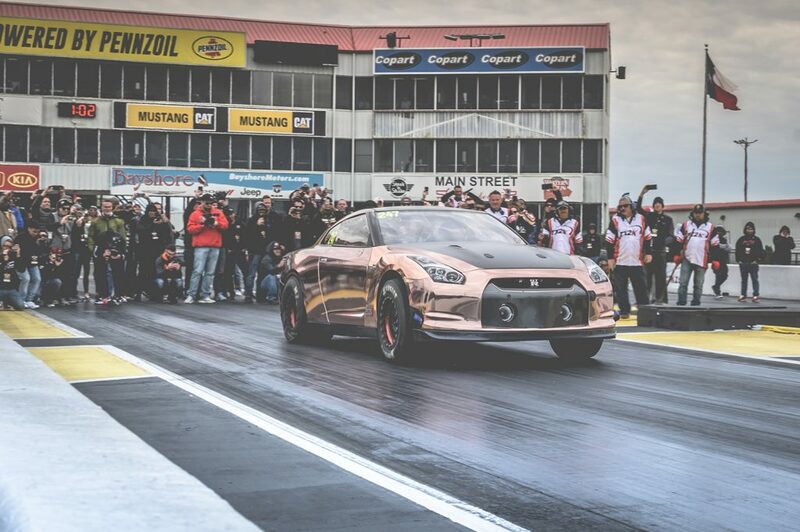 The power and reliability of AMS’ 10X kit showed as Dave readied the GTR for drag race portion of TX2K. The OB Prestige Auto Racing Team is very familiar with roll racing having competed for years in half mile events in their Lamborghini’s. While the car wasn’t setup to run through eliminations, we wanted to continue to dial in the new setup to prep for Saturday and Sunday. Alpha Queen clicked off a 211 mph pass but the excitement of that pass was tempered by the fact that a problem arose in the driveline. Queen snapped the output shaft in the bell housing. It would have to be swapped out before the drag racing began. Lance, the Queen’s tech readied himself for the long night ahead. Saturday morning rolled around, our team running on very little sleep and a LOT of coffee was ready to get all these cars qualified. Dave in his Alpha 10x was able to not only break his previous record with a 7.56 but it was good enough to lock him in as #1 qualifier. The Alpha 22’s of Jordan and Parin were able to lock in #1 and #2 qualifiers with a 7.1@206 and 7.4@201, respectively. Queen continued to fight us having to replace another broken output shaft on Saturday. We were still able to qualify with a 7.09 putting us in 2nd place. That elusive 6 second pass was so close we could taste it. Queen was putting together some impressive 1/8th mile passes (4.568 and 4.552) during qualifying but we couldn’t get the car to stay in 5th gear. A rough guide is take your 1/8th mile ET and multiply by 1.5 to get your 1/8 mile ET. We had two choices here. 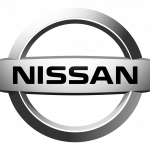 Swap the trans, miss the finals, and try to make that 6 second pass afterwards; Or, gamble on taking some power out of the car on the shift. Knowing that we had a chance to take the win, we decided to take a lot of power (600HP worth!) out in all of 4th gear so it would shift into 5th . IT WORKED, during the Semi-Finals Queen ran her best pass of the weekend with a 6.87@216! The crew at the start line, the crowd there to witness the run, and our guys back at the shop erupted! Their 6 was a long time coming and it couldn’t have happened to a nicer team. Everyone ran back to the pits to meet the OB team. We celebrated with a little champagne shower but didn’t have too much time before the finals. 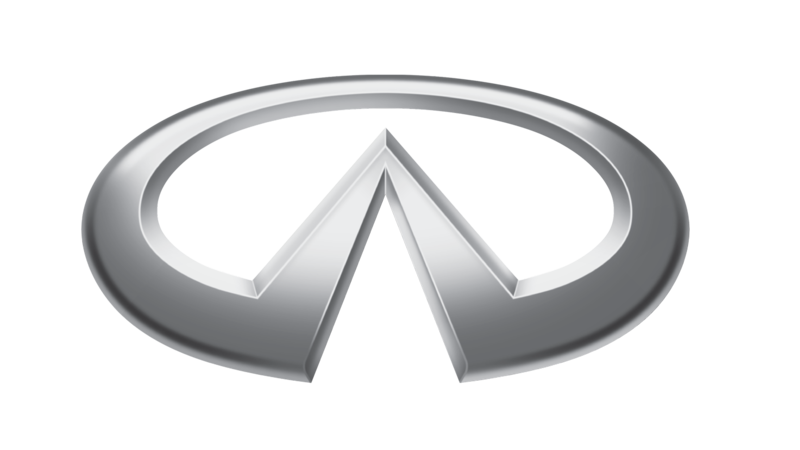 Getting the car into the 6’s was the main goal for Queen at this event, taking a W in the finals would be the icing on the cake. Unfortunately, the timing just wasn’t there. Queen red lit in the last round and brought home second place. She was on another pass though! Queen ran 3.10 to the 330ft mark (.04 seconds faster than the 6.87 run!) and hit a boost cut on the shift before the 1/8th mile marker. The driver heard it and let out. We ALMOST saw side by side 6 second passes. Maybe next year! Parin and Jordan Martin’s GTR’s have always been two peas in a pod. They have always looked similar on the outside with both cars being the same color grey. The only way to tell them apart was the wheel color. Their turbo kits have also mirrored each other. Both went from Alpha 12’s, to Alpha 16’s, to Alpha X’s, to now Alpha 22’s. At TX2K 2019 we were hoping to see both cars in the finals. These guys always put on a show whenever they race each other. Neither of them want to lose to each other so you know neither of them were going to lift. The way the bracket lines up on a 9 car field, Jordan and Parin (driven by Phil) were forced to meet in the semi finals. Jordan ran a 7.09@206 but Phil took the win cutting a better light with a 7.31@199. This put Parin/Phil in the finals against Marcelo Duran’s soon to be Alpha 22. Marcelo and Phil both know how to cut a light. Marcelo just left a hair too quick and red lit. Phil took the win on that pass by simply breaking the beams. The end result was an Alpha powered 1-2-3 podium. Dave Rohrschneider’s Alpha 10x went round for round taking out some other very fast 58mm cars. Dave learned a lot about cutting a good light at this event, which was one of his major focus points in qualifying. 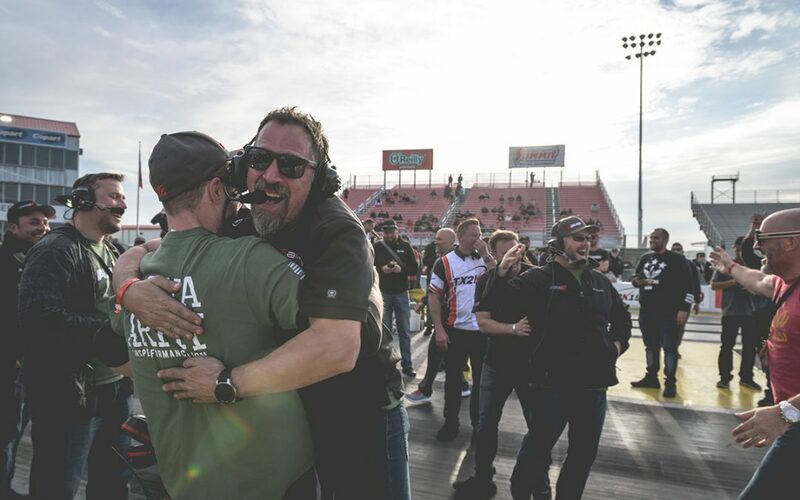 Although Dave is new to drag racing, he knows what kind of reaction and focus it takes to win. Dave is a 6 times National Trials Riding Champion. If you’ve ever seen these guys ride, quick reaction and focus are required more than anything. In the last round, Dave cut a .016 light and took the win for GTR 2. His best pass of the weekend was 7.569@189.10! 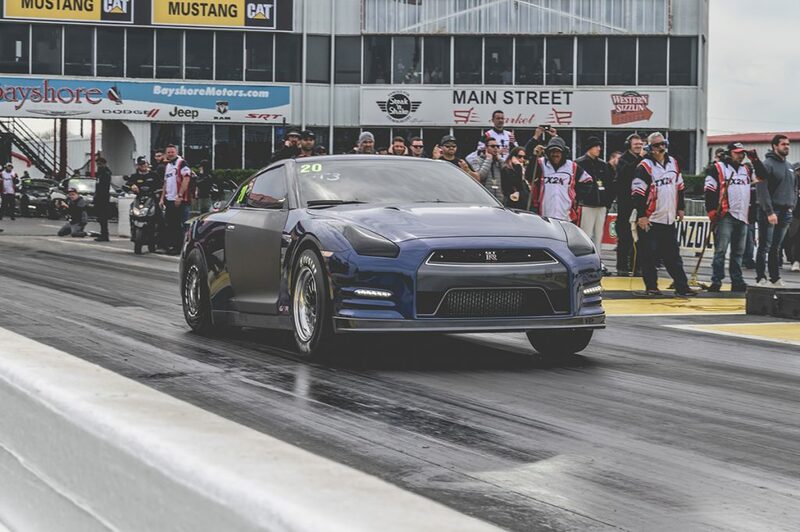 Sam Barros’s Omega 12 ran in the GTR2 (58mm turbo class) Class with 54mm turbos and ran a 8.64@160 mph. He made it all the way to the TX2K Semi-Finals! More on this coming up! “I’m just going to say it: Best. Turbo. Kit. EVER! I’m still plagued by fuel pressure issues, despite upgrading my pumps; I need more fuel pressure to get everything out of them. That makes me believe this is an 8.5 second car once I put some bigger pumps in. Oh, the car weighed 3995lbs after the pass too! If you’ve made it this far, thank you lol. The guys at the shop put in a ton of work to get these cars to both GTRWC and TX2K. I couldn’t be more proud of the team and can’t wait to see what the rest of the year has in store for all of these cars. 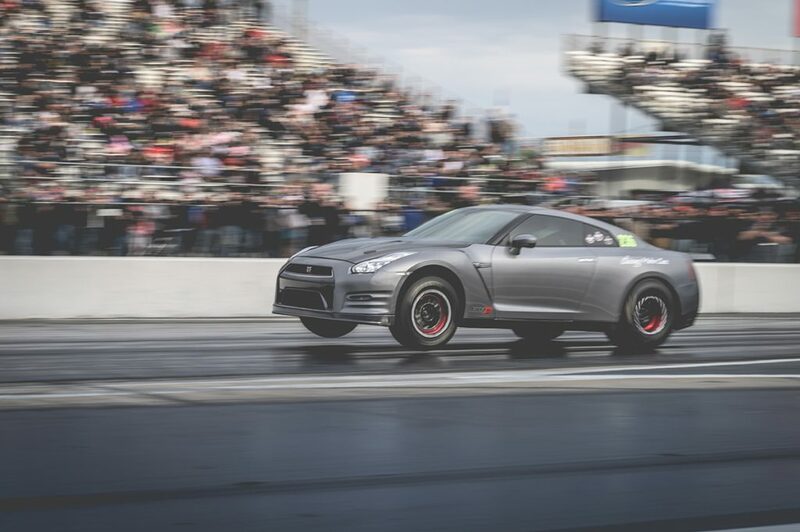 I know every team was frustrated with so many cars oiling down the track but we have to keep in mind that 9 years ago, we ran the first 9 second pass in a GTR. 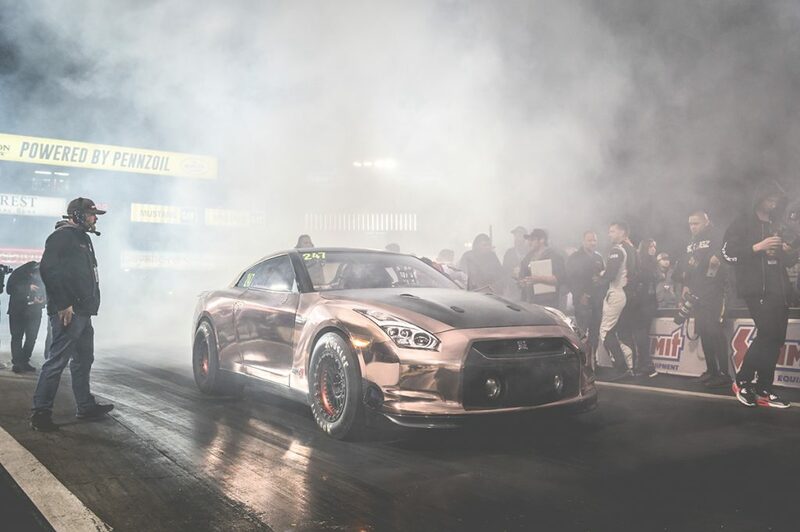 This year most cars were running in the 7’s, a hand full of them in the bottom 7’s and three 6 second passes were made at one event. Pretty impressive if you ask me. Downtime is always a bummer but the faster we go, the more likely it’s going to be that someone oils the track down. It didn’t help that track prep was insane. A double edged sword for sure. If anyone is interested to know what it takes to make these cars tick and go fast, please reach out to me on PM, email me Dan @ amsperformance.com , or give me a call 847 709 0530 , we’d be happy to help! 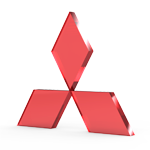 The goal of AMS is to provide the highest quality, best performing products available. By utilizing research and development and rigorous testing programs AMS will never compromise the quality or performance of our products.